Being the most popular Operating System, Windows O S is and will continue to be a much-favored target among the hacking community. 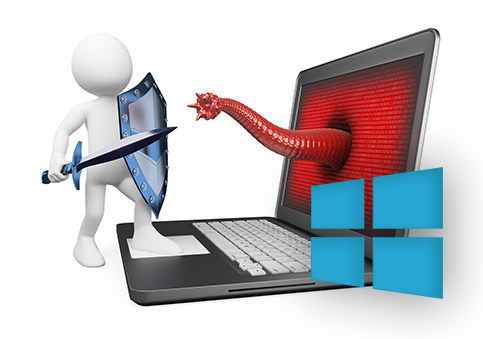 Therefore, while PC users enjoy the benefits Windows OS has to offer, they should be aware of the threat of malware, which may rain down upon it on any given day. Inbuilt Windows Security is never going to be sufficient. Because the security attack vectors of today are just too many to be handled. We no longer live in a world where e-mail attachments or web downloads are the only sources of malware infection. Simply put, your Windows OS needs additional layers of protection in the form of antivirus for Windows or, maybe, much more, depending on your requirements. Download Comodo Antivirus for Windows Now! Windows OS is probably the best. That's the reason why it has such a following – despite the security threats. And there's nothing wrong with sticking with it. Just ensure you beef it up with the right security products and follow the security best practices. These will ensure your Windows OS stays safe no matter what.